Bryan Ward founded Skyward Construction in 1997. Under Bryan's leadership, Skyward has built a reputation for performing high quality work and delivering successful projects throughout the Pacific Northwest. In 2015 Bryan sold the company to Chad Walker, John Hergenhan, and Glenn Taggart. Bryan continues to work with Skyward as our Business Development Manager while Chad serves as company President and oversees the day to day operations. We strive to hire and maintain exceptional people whom we continually challenge to achieve excellence. Our goal is to create and maintain long lasting relationships by exceeding our clients expectations of quality, timeliness, safety, and professionalism. WHAT IS THE SKYWARD DIFFERENCE? We realize you have many options when it comes to choosing a building contractor. Skyward Construction stands out from our competition on many different levels. We strive for a higher standard and believe that by doing things differently it allows us to provide more value for your project. - Experience. We have been in business and growing since 1997. - Customer Satisfaction. We value our clients and it is well known within our ranks that the customer comes first. We will not quit until you are completely satisfied with the outcome of your project. - Financial Strength. We are responsible building contractors. We practice and pursue sound conservative financial models of growth. - Equipment. Skyward owns a variety of construction equipment. We are able to pass the savings on to our clients by not having to rent equipment. - Management. Our diversified group of project managers all have at least 10 years of project management and estimating experience. We give our project managers the freedom to pursue the projects they want, which adds even greater project portfolio diversity. - Workforce. 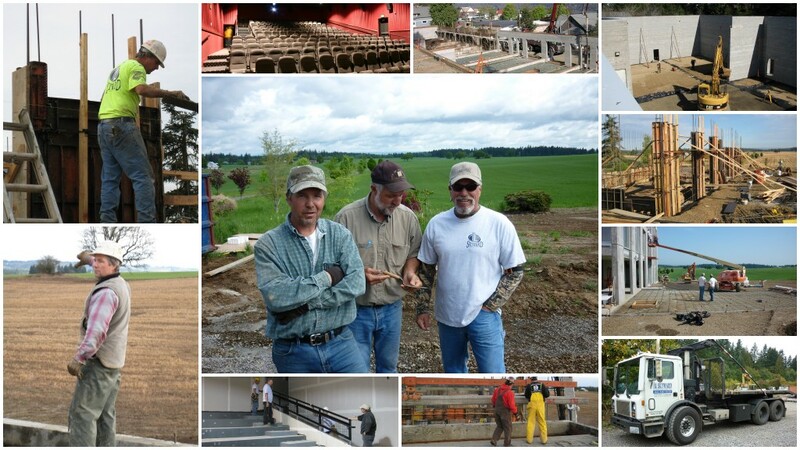 Skyward is fortunate to have talented superintendents and craftsman that have called our company home for many years. Our in-house capabilities to perform work on your project prevents us from having to rely on subcontractors. We also believe this gives us a cost saving advantage that is passed on to you. - Places. We are licensed and perform work in 10 states. Many of our clients have multiple locations and we appreciate them asking us to come along and help them grow. We pride ourselves on our in-house experienced workforce. All of our superintendents have 15-30 years of construction experience. We staff all of our projects with qualified superintendents, carpenters, and laborers. At a minimum our superintendents have OSHA 30, First Aid, and CPR training. Due to the volume of federal work we perform; many of the superintendents have additional training and are certified including Fall Protection and Rescue, Contractor Quality Control, Lead and Asbestos Awareness, Confined Spaces, Scaffolding, Forklift, and HECP (Hazardous Energy Control Program). We model our safety plan on the US Army Corp of Engineers EM-385 manual which covers every known safety aspect and is approximately 1000 pages. Every project has a site specific safety manual which we require all workers on the project to read and sign. We take safety very seriously and it is a big reason why we have such a low EMR safety rating. We believe the best approach to any project is an Integrated Project approach that considers sustainable materials and takes the life cycle cost analysis into consideration. We prepare a construction waste plan that involves recycling and salvaging materials that are available for re-purposing on every project. Skyward employs two full time LEED Green Associates to assist with the construction waste plan. They also make recommendations on products and methods that save you money and help contribute to a healthier planet. WHAT IS THE IPD APPROACH? At Skyward Construction, it’s all about mutual trust and relationships. As the building construction landscape continues to evolve, we ask ourselves what we can do to make our current and potential relationships better and stronger. We believe that answer is through the Integrated Project Delivery (IPD) approach. The IPD approach by definition is a collaborative alliance of people, systems, business structures, and practices into a process that harnesses the talents and insights of all participants to optimize project results. A standard Bid/Build process is a top down approach and does not involve the contractor (and in many cases the owner) during the design process. This type of approach, while the most competitive, will undoubtedly generate the most change orders and misunderstandings during construction. Utilizing the IPD approach, gives the end user the best of all worlds. It combines the owner induced design concept, the designer’s flavor, and the contractor’s methods to establish a solid set of contract documents. It has been our experience using the IPD approach, our customers benefit up to 10% in savings over traditional Bid/Build and Design/Build approach. What we notice the most is at the end of the project, everyone is still smiling because throughout the process, everyone was engaged and involved and has a collective agreement on the end result. Not to mention change orders are non-existent. Skyward Construction is interested in cultivating an IPD approach with you. We have many testimonials of this successful process and hopes the construction industry adopts this approach as mainstream someday. In the meantime, we will be at the forefront of this industry evolution and will continue to advocate for widespread implementation. Utilizing the Integrated Project Delivery (IPD) approach, we bring together all participants of a project to ensure a collective agreement on the end result. Our approach maximizes project efficiency, reduces waste, and ultimately increases the value to the owner. We develop, monitor, and enforce our safety program to ensure compliance . Safety is the most important aspect of construction at all times. With our expertise the owner, designer, and contractor are integrated from beginning to project handover.